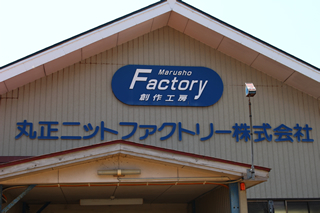 Company Name Marusho Knit Factory Co., Ltd.
* This division has been moved to the head office. 1832 April Company founder Shouemon Sano establishes a textile business, which is considered to be the oldest textile business still operating in Mitsuke. 1926 Timed to coincide with the completion of the construction of Tanaori Shrine, a monument is built to commemorate Shoukichi’s contribution to developing Mitsuke into a major center of textile manufacturing. 1948 August Establishes Marusho Kigyo Co., Ltd.
1960 July Establishes Marusho Orimono Co., Ltd.
1965 Looms fully automated as part of the mission to become an export-orientated factory. 1970 Collaboration started by Daiich Gosen, a cooperative partnership founded by 11 companies under the leadership of the Japanese government. 1979 June Establishes Twisted Yarn business division. 1982 June Establishes Knitting business division. 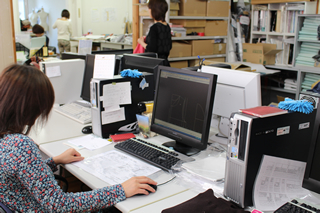 1994 April Changes the company name to Marusho Knit Factory Co., Ltd. (the current name). Changes the focus from men’s sweater to women’s sweater. 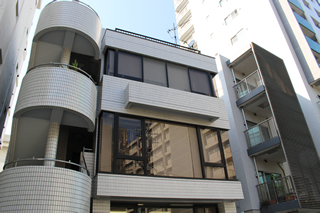 1997 March Opens a Tokyo office in Jingumae, Shibuya Ward, to gather information. 1999 June Moves the Tokyo office to Omotesando, and promotes its status to Tokyo branch office to strengthen the sales planning/information-gathering functions. 2000 June Motoyasu Sano assumes the presidency (the seventh generation). 2004 February Establishes the MAWHOQ business division, launching factory operation specializing in manufacturing WHOLEGARMENT, seam-free knitwear woven as a one-piece construction using a different technique from the cut-and-sewn method. 2004 August Moves the Tokyo branch office to Harajuku to expand the product line displayed in the showroom. Develops the business around the OEM-based manufacturing of name-brand apparel products, while considering the international sales business, to establish the company’s own brand. 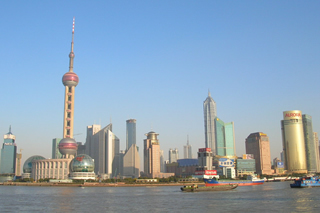 2005 June Opens a Shanghai office for market research, based on which the company embarks on exporting products to China as a potential market. 2007 September Establishes EQ business division in preparation to enter into overseas production as well as to develop and market high-value-added products. 2007 October Establishes Frontier Partners business division with the function of inspection, modification, logistics and recycling. 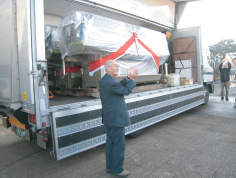 2009 January Introduces the state-of-the-art WHOLEGARMENT specialty machine MACH2—a world first. 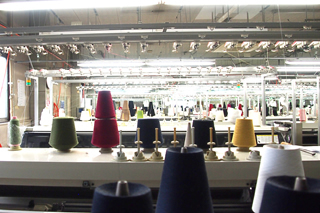 2012 June Moves the knitting machines installed in three factories into one factory to increase productivity. 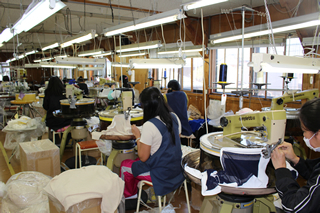 Shouemon Sano established a textile manufacturing business. The business was developed much further in the Meiji era by Shoukichi Sano, the second-generation owner who laid the ground for Mitsuke’s textile industry. 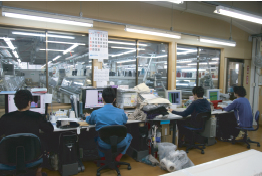 During our 180-year history dedicated to textiles and their manufacturing, we have changed the focus from textiles and twisted yarns to knitwear, as well as the company name from Marusho Kigyo Co., Ltd. and Marusho Orimono Co., Ltd. to Marusho Knit Factory Co., Ltd.—the current name. In 1982, the sixth-generation president, Yoshikazu Sano, transformed the company from a textile and twine maker into a knitwear manufacturer, and was succeeded by the seventh-generation president, Motoyasu Sano, in 1999. 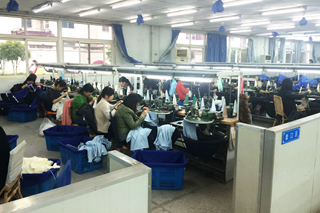 Breaking away from subcontract manufacturing under apparel brand’s planning and adopting a self-proposing style of business, we have increased business connections with diverse clients including apparel companies and retailers. Branch offices have been established in Harajuku, Tokyo, and in Shanghai, China, to gather information on the latest trends and as bases to disseminate information to customers. 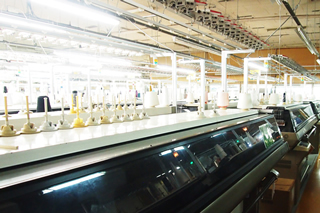 Despite business stagnation, we have been aggressively investing since 2004 in WHOLEGARMENT knitting machines that weave seam-free knitwear in one piece. By using this leading-edge technology, we aim to develop a private brand as a strategic move to take on new challenges such as mail-order business, exports and oversea sales. With the continued commitment to manufacturing dedicated to customer satisfaction and using the lessons learned during the long history of the company, we will pass down the artisan spirit and mastery to future generations. 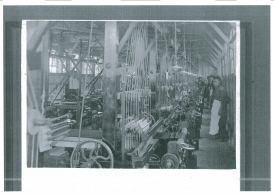 The world premier of the first MACH2 machine Factory operation of WHOLEGARMENT knitting. 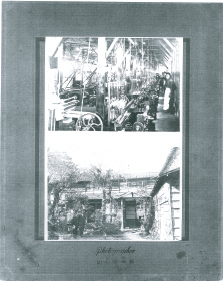 In 1868, Shoukichi took over the family business of textile manufacturing. 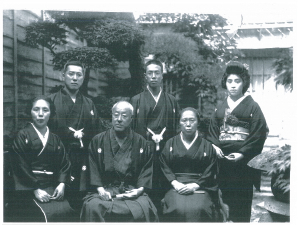 He was appointed as deputy president of the Mitsuke Shoukon (indigo blue) Guild in 1903, and as deputy president of the Mitsuke Textile Guild in 1906. 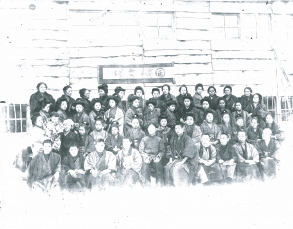 In 1914, he assumed the presidency of the Mitsuke Textile Guild and invited the Niigata prefectural dyeing experiment station to move to Mitsuke. Shoukichi also served in various positions of significant responsibility, including director of Mitsuke Bussan Co., Ltd., executive director of Hokuetsu Orimono Seiri Co., Ltd., and auditor of Mitsuke Bank. Declining the post of town councilor for Mitsuke—for which he was nominated three times—Shoukichi dedicated himself to the development of the textile industry throughout the course of his life. He died May 30, 1923 at the age of 69, buried in Souji Temple in Mitsuke City. 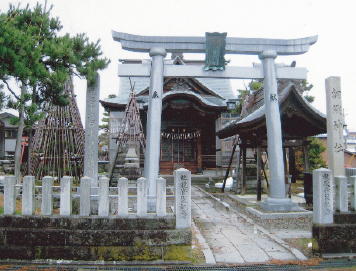 Members of the Mitsuke textile industry built a monument in 1926 in the grounds of Tanaori Shrine commemorating Shoukichi’scontribution to establishing the basis of the guild operation as well as his work in significantly developing the area of manufacturing during his presidency.